I have returned to Broome Farm for a visit about six months after my departure, and it’s almost like I never left. So lovely to slip right back into drinking some amazing cider outside the cellar with the regulars at the end of the workday. Folks report that, though the apple crop is not a bumper one as media reports have suggested, it is better than last year, and it is nice to see many of the apple and pear trees laden with fruit. One tree in particular, the old Holmer, is looking particularly laden with its tiny fruits. 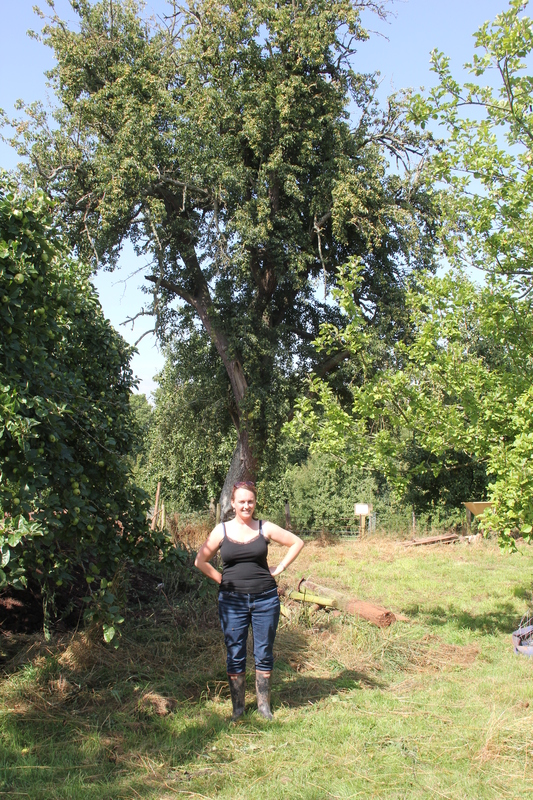 Standing under it the other day, I asked how old it was, as it is the oldest and largest fruit tree on the farm. Our friend John Teiser, cider maker (Springherne Cider), tree enthusiast, and orchard researcher, said it would probably date to about 1828. I was taken aback by such accuracy of date, and John explained that it was in the decade between 1820 and 1830 that Thomas Andrew Knight, a local Herefordshire gentleman farmer who pioneered fruit breeding in the 19th century, popularized the variety of perry pear he had discovered in the vicinity of the village of Holmer, north of the city of Hereford. According to John, many large old Holmers date back to this decade, as Knight convinced many people all over the county to plant them during that time. Mike said he remembers several other large specimens of perry pears standing nearby when he was a boy, but they have died out long ago. As we were admiring the majestic and craggy old tree, which has skeletal dead branches interspersed with the green boughs full of fruit, my friend Liz grimaced slightly and said it was the worst pear to pick up of all the pears in the orchard, due to its tiny size. But one can’t help but respect such an old tree. 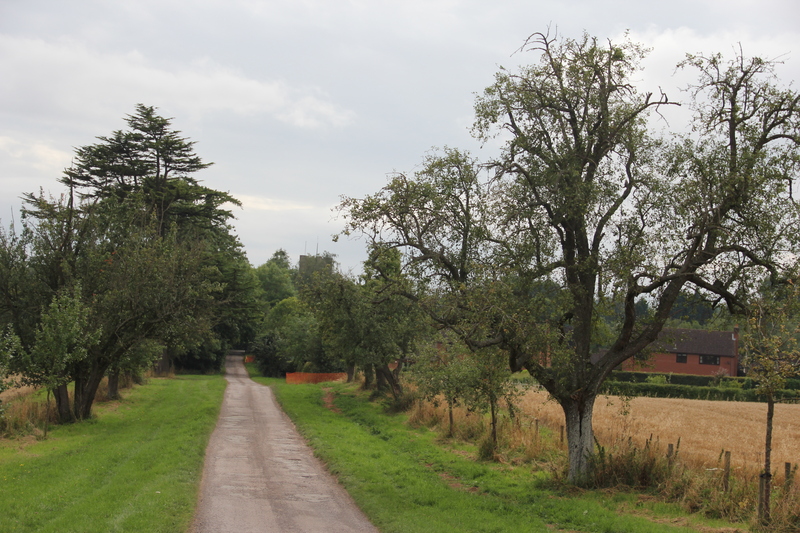 Meanwhile, I spent the afternoon over at Much Marcle at Westons Cider. Somehow I had managed never to take their facility tour when I was here previously, so I decided now was the time. The tour guide was very lovely, and she took us all round the busy facility, stopping frequently to let the Westons lorries pass by. 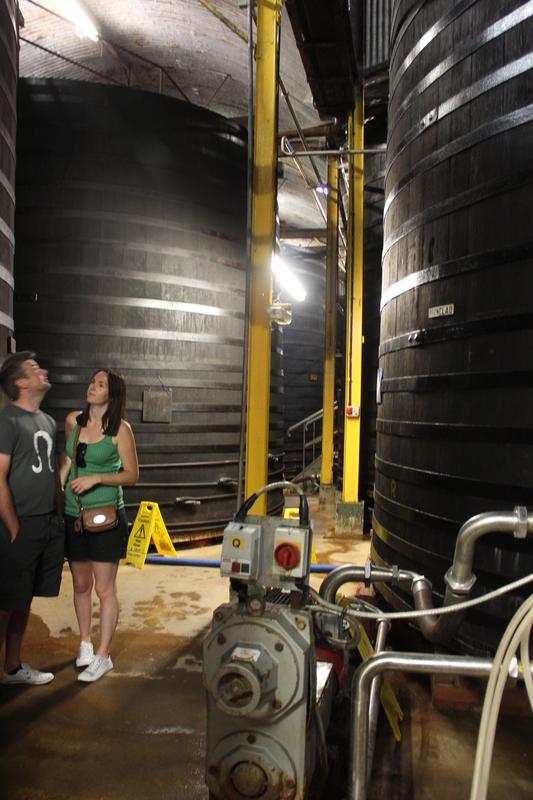 By far the most interesting part of the tour was the Vat room, where over 90 oak vats of huge proportions, some over 200 years old, stand holding vast quantities of cider during its aging process after fermentation. Each of them have names, a tradition started by the founder of the company. The vat room inspires feelings of awe and wonder, even more so than the equally massive holding tanks that loom outside over the distant Malvern Hills. No, the vat room is dark, dank, and full of mysteriously huge and ancient vessels whose girth and age, not to mention their very names, seem to bestow upon them a sense of mythical and yet earthy personality. Titans of cider – the kind of creatures that preceded gods. You feel you have entered a temple inhabited by mischievious and montrous beings through which billions of litres of cider have flowed. Well, after that, I needed a bit of a stroll, you know, to relax the mind. So I drove down the lane to the Helens to visit the avenue of perry pears, trees even more ancient and craggy than the Holmer at Broome. The avenue was planted to commemorate the coronation of Queen Anne in 1702, and some of the trees still hang on to life. 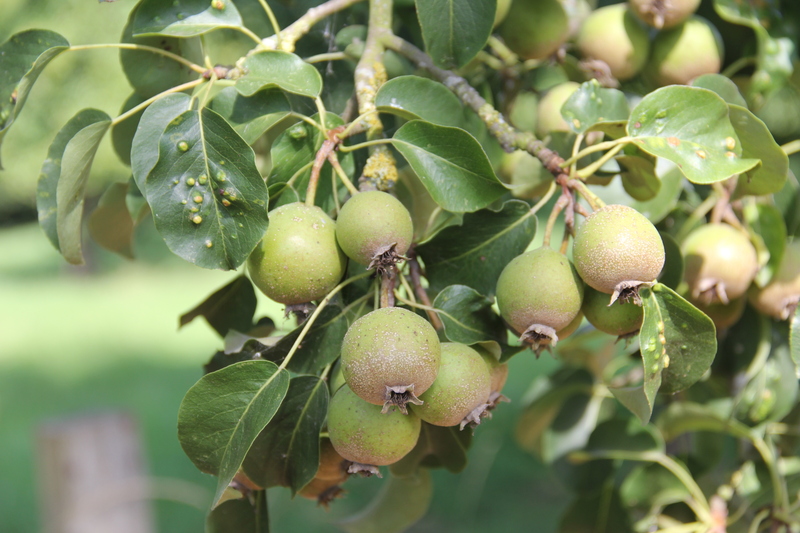 I’ve admired these trees in the past, and last fall at the Big Apple festival, which is held on the grounds of Hellens Manor, I got to taste the perry made from these pears, the Hellens Early and the Hellens Green, and it was lovely. Somewhat sweet, with a honeysuckle nectar quality as I recall. One vintage had a hint of woodiness as well. More to come on further adventures in perry, cider, Broome Farm this trip. This entry was posted in Apple Varieties, Landscapes, Orchards, Perry, UK. Bookmark the permalink.